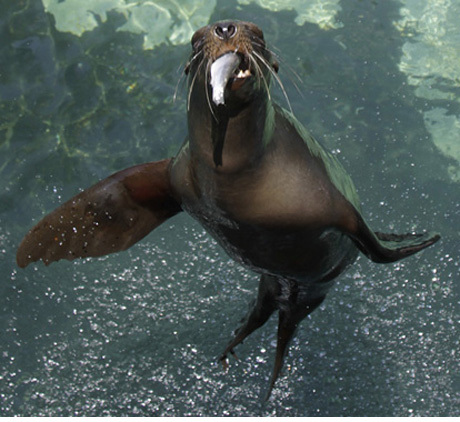 The four California sea lions who live at the Central Park Zoo never cease to amaze. They flip, flap, flop and fly across the pool and into the air. Come watch April, Katie, Edith, little Charlie and of course their dazzling zookeepers daily during their feed and demonstration at 11:30, 1:30 and 3:30 each day.